As much as the economic recession has roiled the federal budget, it has taken its toll on state finances as well. Reduced tax revenues and plummeting property values has made it difficult for state and local governments to balance their budgets. One of the easiest ways to fill the state coffers is to look to the US Treasury. After all… if Wall Street and the automakers got bailed out, why shouldn’t state governments get some help too? Yesterday, Congress passed, and President Obama promptly signed the Education Jobs and Medicaid Assistance Act. It provides $26 billion of federal funds to help states balance their budgets. The law specifically allocates $10 billion for local schools to prevent layoffs of teachers. 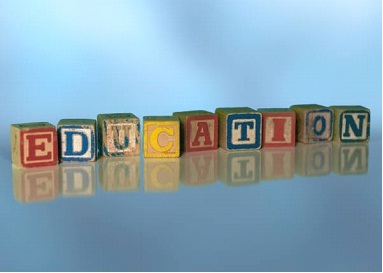 Who can be against retaining teachers who help educate our children? The current money is in addition to billions of dollars that was distributed to the states as part of the $787 billion Stimulus Bill, which passed less than 18 months ago. The Stimulus funds helped states balance their budgets last year, but the continued languishing of the economy caused many states to need money again this year, so Congress came to the rescue. The legislation sparked a little dustup in the State of Texas. Rep. Lloyd Doggett accused Gov. Rick Perry of using $3.2 billion of Stimulus money to balance Texas’ budget, rather than increasing education spending. Therefore, Rep. Doggett got an amendment included in the bill that requires Texas to certify that state education expenditures will remain at a certain level until 2013 in order to receive the new money. The Governor responded that the Texas Constitution prevents him from committing to future state spending. With an election only a few weeks away, politics are certainly at play in this issue. 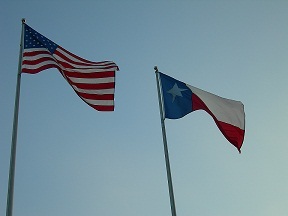 Because of Texas’ population, there is $800 million at stake in this little tussle. Despite the political rhetoric, it’s real money and will significantly affect education spending in the state. Aside from an issue specifically affecting Texas and politics as usual, there is a bigger issue involved. To me, the problem with the Doggett Amendment is the codification of the circular nature of spending, budget deficits and the need for more bailouts. If Texas, or any other state, is unable to reduce education spending for the next 3 years, the ability to balance a budget becomes more difficult, exacerbating budget deficits, which casues the need for more stimulus/bailout money. My primary complaint with the recent legislation is the way that states handled the original money from the Stimulus Bill. Rather than using the money as a one-time gift which gave them time to figure out how to operate with less money, most states simply used the money to plug their current hole and avoided making difficult choices that would alienate their constituents. The result… a year later, they were back asking for more help. I wonder what state and local governments will do with the current money. Do they see it as a bridge that helps them lessen the impact of altering future programs and services, or do they just plug another hole, spend the same money and be facing a similar crisis a year from now. Everyone needs help and assistance from time to time. In dealing with people, you have to be cautious that your help doesn’t enable them to continue their bad or destructive behavior. Same goes for the government. Continually providing money to states to balance their budget, may prevent them from making the tough choices and decisions necessary to get them back on sound financial footing. I’m sure Congress’ intent is to help, but it seems like they are beginning to enable the states to continue their spending ways and defer making substantive changes. What do you think… is the government assistance helping or enabling?